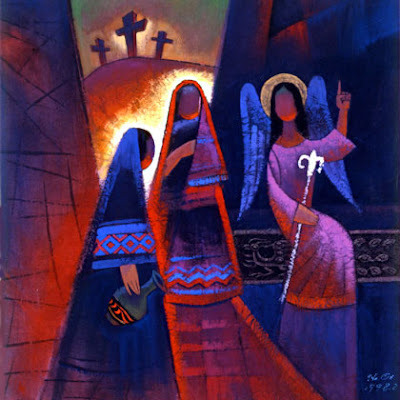 The quiet mystery of the story of Emmaus invites us into the mystery of Easter. who and what he is. and Jesus is known to them in the breaking of the bed. so we are reminded of the mystery that Jesus comes to us in the breaking of the bread. "If you doubt go to Holy Communion!" So the funny little comment is true. If you doubt go to to Holy Communion. should not be taken for granted. "Take eat this is my body given for you"
"This is the blood of the new covenant which is shed for you"
It is Jesus speaking to our doubt. but also in the ordinariness of human existence. and reach out to the hungry. but also to put it into practice. We know Jesus in the breaking of the bread. -and those who God sets before us in need.